Welcome to another installment of Melanie's stash enhancement report! What can I say, I really love fabric and when I see a good deal it is oh so hard to pass it up! I think another strategy I will have to use in order to use my stash instead of buying new, is to stop receiving emails about sales. They are just way too tempting! 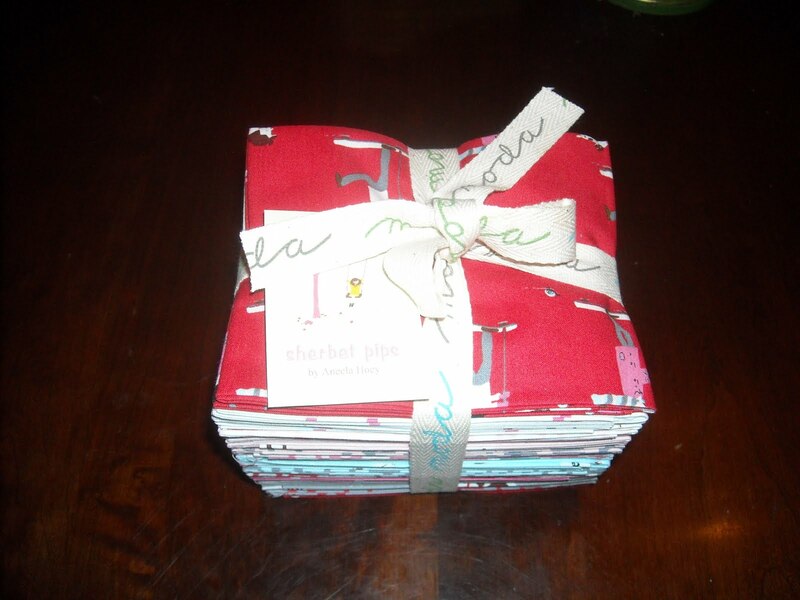 This week I bought a fat quarter bundle of the entire Sherbet Pips line and I just love it! I left it wrapped up in it's cute little package as long as I could, but earlier today I had to take it apart and admire it. I have been in love with this line since it first came out and I am not disappointed! I can't get over how cute it is! My oldest kept asking to hug the doggie fabric. I have a feeling I might have to share this quilt! I'm not sure what I will do with it, but I know it will have to be something that really showcases the fabrics. As I was showing my husband the design from Moda Bake Shop I wanted to use to make his mother's quilt, he saw another pattern that he thought would be better. I completely agreed with him, so I supplemented what I had already purchased to make this quilt instead. I think this design will be perfect for Charlevoix! I really can't wait to get started on this! I really think my mother-in-law is going to flip! 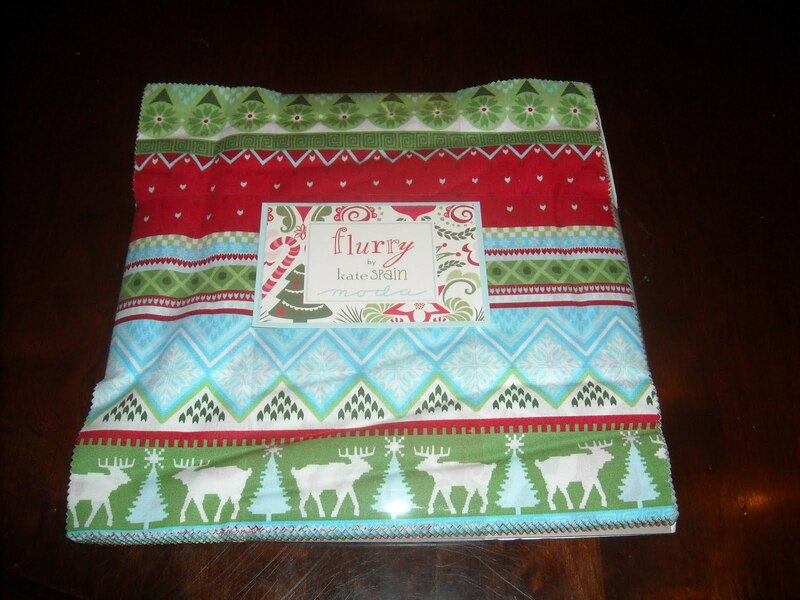 Of course since I really love "Hexagon Park" by the very talented Lynne I decided to use it to make a Christmas quilt from the new line "Flurry" by Kate Spain. One of my goals for the year is to start making my Christmas projects earlier rather than later, so that they actually get finished in time for the holiday season. Here's hoping! On the sewing front I am still plugging away on my Super Nova quilt. It is taking longer than I'd hoped to complete, but I think I am going to love it! Yikes, time to get busy! In an effort to use all of this beautiful fabric instead of just buying it, I am challenging myself to not add anything to the stash until the quilt show in June. I know that really isn't that long of a time, but I have to be realistic. I don't think I can go to the quilt show and not buy fabric. To see how everyone else is doing check out Judy's blog. Your mother in law is going to love that quilt. 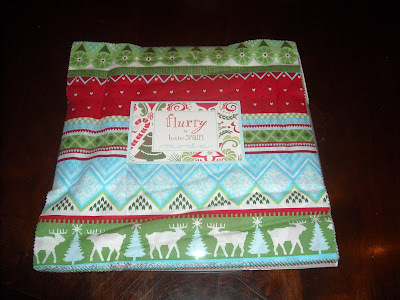 That pattern is wonderful and what a perfect fabric line to use for it. I really like your fabric and pattern choices. I wish you well in holding off further purchases until June. Like the pattern you choose for your MIL. Last year I want way over board on the stash enhancement, so in October I put myself on a fabric diet. I deleted all the fabric shop emails to aovid temptation. It helped. This year I put myself on a fabric budget and that's helping a lot too. Good luck on the stash management. It's like dieting, it's so easy to add and so hard to take it out! I agree about deleting the sale emails - they're less tempting for me since I hate to pay shipping to Canada, but I am not sure I'd be as strong if I lived in the US. Your MIL's quilt is going to be stunning, and I think that choosing Hexagon Park for a Christmas quilt is ideal - it looks a bit like snowballs! I could not resist Charlevoix either! 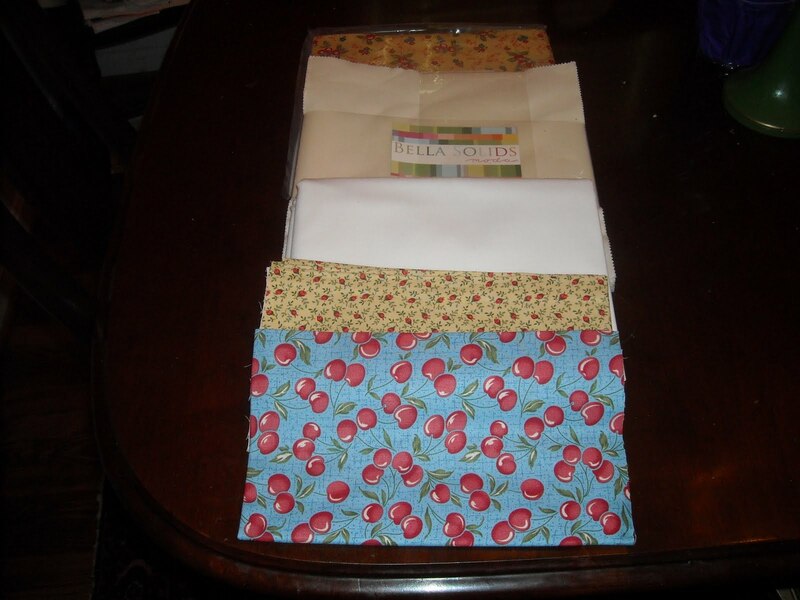 Bought 14 fat quarters on a Quilt Shop Hop 2 weeks ago. Of course, it ruined my Stashbusting report. . . I love the Summer Dreamin' quilt! I think I might make that one out of my Charlevoix! Pretty additions to your stash! I've decided the same thing - I now delete a lot of those email newsletters w/o reading them to avoid the temptation.